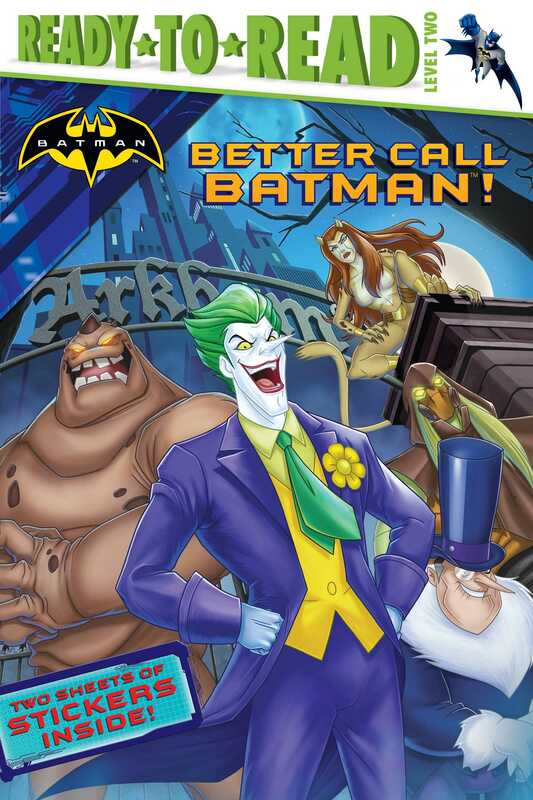 Gotham City’s wildest villains are up to no good in this Level 2 Ready-to-Read story based on the animated films, Animal Instincts and Monster Mayhem! It’s nighttime in Gotham City and the villains are running amok. From the Joker, to Scarecrow, to the Penguin, learn the strengths and weaknesses of Batman’s greatest foes in this entertaining guide to the bad guys. Book Cover Image (jpg): Better Call Batman!